Contact WCJ Pilgrim Wire to find out about stitching wire problems and ways we can make your bindery operation run smoother. 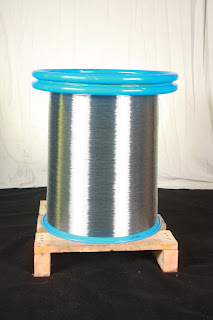 WCJ Pilgrim again succeeds with providing it customers with the best stitching wire in the world. Is your operation slowing down due to bad wire? Contact WCJ Pilgrim Wire to get you the best. We will be showing some of the reasons other wire manufactures make bad wire at the 2011 Graph Expo. Come on down and check us out.